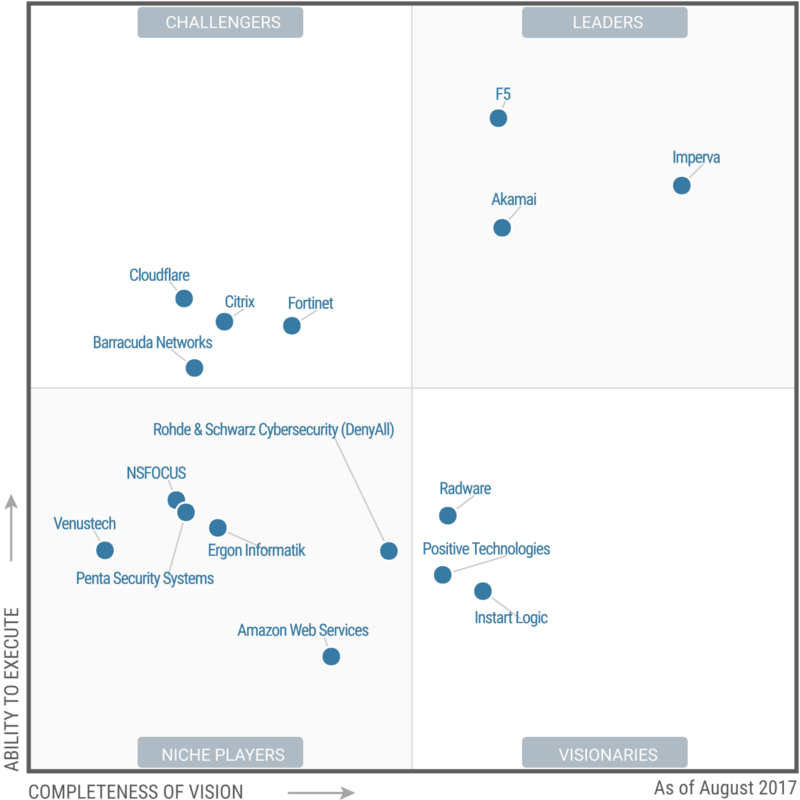 What’s new in Gartner WAF Magic Quadrant 2017? To tell the truth, I was not much interested in Web Application Firewall market since the time when I was doing competitive analysis in Positive Technologies. 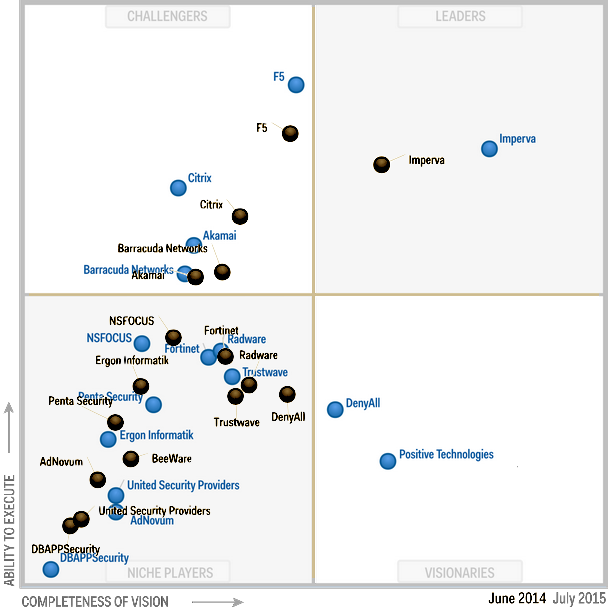 And a few days ago Gartner published a fresh WAF research with interesting Magic Quadrants. I decided to figure out what’s new there. Here you can download full Gartner WAF MQ 2017 report for free. Thanks to Positive Technologies for such an opportunity! The first thing that caught my eye was Akamai in the leaders! And apparently this will be the main message. This entry was posted in Web Application Firewall and tagged Akamai, Amazon Web Services, CDN, DDoS, Ergon Informatik, firewall, Gartner, Imperva, Incapsula, Instant Logic, NSFOCUS, Penta Security Systems, Positive Technologies, Radware, Rohde & Schwarz Cybersecurity, SAAS, Venustech, WAF on August 16, 2017 by Alexander Leonov.